I love football. And I love hearing stories about footballers, because it is a life so far removed from mine. What I loved about this book was that it was not an autobiography, in the traditional sense. Peter told stories that happened to him throughout his career, with the focus on other players and events. It was very interesting to hear about how footballers spend their money, how goalkeepers aren’t normal people and what goes on in the nitty-gritty moments in the penalty box. I loved reading about the highs of winning the FA Cup and the lows of losing in the Champions League Final. The icing on the cake was the end chapter dedicated to my favourite footballer ever; Steven Gerrard. 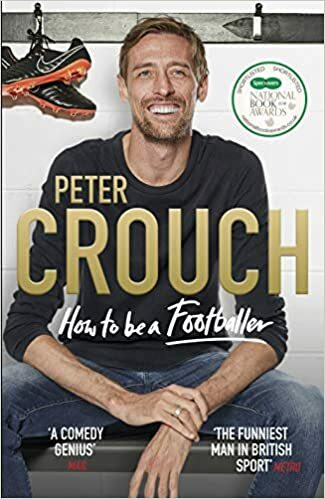 Peter Crouch is a born raconteur. He tells anecdotes with skill, stories with wit. I laughed many times out loud and it is definitely a book I will revisit.